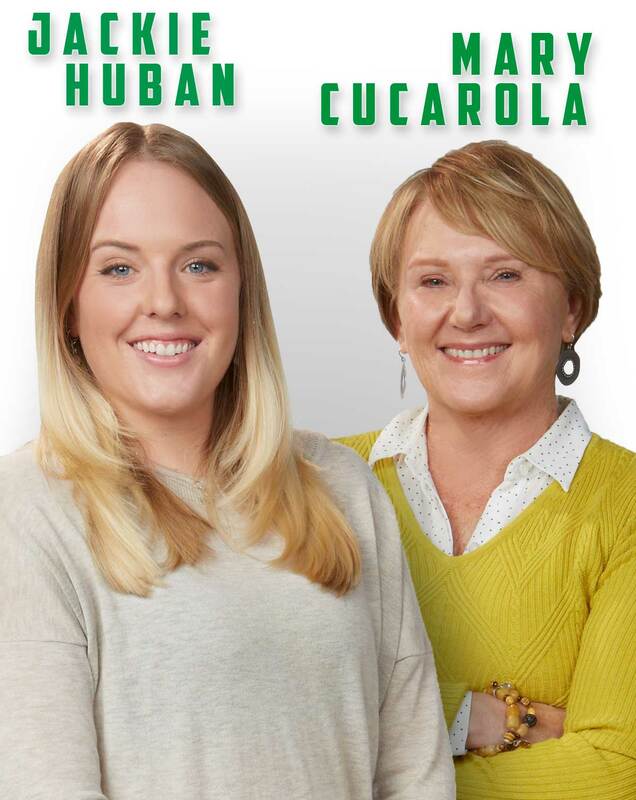 Mary Cucarola and Jackie Huban are available for speaking engagements, individually or together. See Individual Bios below. With two unique perspectives and a common goal, Mary and Jackie share wisdom, heartbreak and hope in their presentations. Both are available for individual speaking dates or combined engagements where their overlapping, yet distinct, experiences give a broader insight into the disease of addiction. This combined program format is designed for community groups, school assemblies, parent organizations, church groups, or those who want to learn more about addiction. Mary and Jackie each have powerful individual stories to tell, but together they tell a more vivid and complete story in a single presentation, sharing two sides of the same story. Alcohol and drug-free since September 4, 2013, Jackie got sober when her boyfriend, Cody (Mary’s son), died from an overdose in 2013. It was Jackie’s wake-up call and Mary’s worst nightmare, and his death transformed both of their lives forever. They have turned their pain into purpose to help others and spread addiction awareness. To conclude the event, they will both field questions from the audience. Former CPA and business owner, Mary founded her addiction nonprofit, Cody’s Fresh Start Charity Works, after her son passed away from a opioid overdose in 2013. She has devoted her time to helping others impacted by the disease of addiction since 2014, as well as writing a monthly blog, One Mother’s Perspective, published on the nonprofit’s website, www.codysfreshstart.org. She also speaks in the Denver community and is in the process of writing a book titled Like a Landslide, which is a memoir telling the heartbreaking story about recovering from unimaginable pain caused by her son’s 10-year battle with addiction and his ensuing death from a drug overdose at age 26, and how the tragedy completely transformed her life. With the hope of giving a voice to her son’s disease, she advocates for change and for not letting one more child die from a drug overdose or letting one more parent suffer in silence. In this very personal presentation, Mary takes the audience on a journey through her son’s addiction starting in high school, to several stints in treatment, and to his eventual death from a drug overdose. This program format has been designed for parents and family members of loved ones with substance use disorder. Addiction has traditionally been a disease of shame and silence until the recent epidemic of opiate addiction, which has slowly begun to bring it to the forefront as a brain disease and not a moral failure. Each parent or family member who faces the pain associated with loving an addict normally keeps silent about the struggle. Her son went to Catholic school his entire life, played sports, was healthy and active, had lots of friends, but unfortunately there were no casseroles brought over by friends or neighbors for an addicted child. Addiction does not discriminate and the stigma is still strong. Her message is one of hope and compassion emphasizing no one is to blame for a spirit damaged by addiction. She discusses her mistakes and victories and why she thinks this happened to her son. She talks about what she would encourage others to do who are dealing with addiction. She will never be grateful for losing her son to addiction, but there is gratitude in her life in the form of changed perceptions. She continues to heal from the tragedy by educating and helping others. To conclude the event, Mary will field questions from the audience. To check Mary’s availability and speaking fee, please email her at mary@codysfreshstart.org. A living miracle, Jackie co-founded Cody’s Fresh Start Charity Works in 2014 with Mary Cucarola, and is a Denver business owner. Alcohol and drug-free since September 4th, 2013, she embraced recovery at the age of 23 after her boyfriend, Cody (Mary’s son), died from a opioid overdose in 2013. Jackie speaks in the recovery community around the Denver Metro area, Colorado Springs, and Northern Colorado, sharing how she survived the opioid epidemic and recovered from alcoholism. Jackie lends her hand to those who still suffer from addiction in hopes they may find a way out. In this raw presentation, Jackie paints the picture of a good kid, who was a 3-letter varsity athlete, to the horrors of her dark past, and how she saw death’s door many times in the grips of alcoholism and opiate addiction. She tells her story in a way for the audience to understand she had no choice to stop what she was doing until she got help for her disease. She shares how she found a way out and how she now lives a life recovered and in long term recovery with a purpose. She has been in recovery for nearly 5 years and keeps sobriety her top priority. This presentation is designed for any age group to be educated about the disease of addiction and to show how it can affect anyone, emphasizing there is help out there to get well and find a way out. Her message is one of hope and compassion highlighting recovery is possible for anyone who embraces it. To conclude the event, Jackie will field questions from the audience. To check Jackie’s availability and speaking fee, please email her at jaclyn@codysfreshstart.org.